Hello and Happy New Year! Welcome to the first Divas blog hop of the year. If you came here from Traci Williams' blog, you are in the right place! If you have jumped here and just discovered our blog hop, feel free to check the list at Damask Divas blog http://www.damaskdivas.com/ to find the complete list of blog hop participants. Using the beautiful La Belle Vie paper pack, I made two different projects. First, I made an exploding box as a present for my daughter. She turned 5 two weeks ago and I wanted to make something special and fill it with some of her favorite things. I also made a little charm bracelet for her. The second layer was made with pockets for money. Third layer has cards for messages from mom, dad sis and brother. so I made her a little something too. Since I made the box a while ago, I wanted to make something new. I decided to dress up a plain black picture frame. Hope you have a great time on our hop and checking out all the creations using the La Belle Vie paper pack. If you get lost, just hop on over to Damask Divas Blog http://www.damaskdivas.com/ for the full list. Spend $35 and get the exclusive Whooo’s Your Valentine kit for only $10! Celebrate National Papercrafting Month with an incredible deal—our Whooo’s Your Valentine kit (CC1022) for only $10! Combine your love of papercrafting with the contents of this kit to create personalized valentines—perfect for classrooms and other group settings. 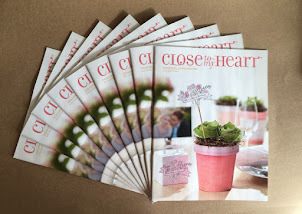 This wonderful kit, which retails for $40, can be yours for only $10 when you spend $35 or more in Close To My Heart product from the Autumn/ Winter 2012 Idea Book. 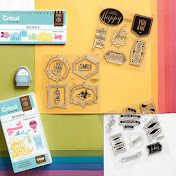 You’ll receive 12 die-cut boxes, 3 cardstock sheets, 1 sheet of silver glitter paper, 12 treat tubes, and an exclusive D-size stamp set created specifically for the kit. 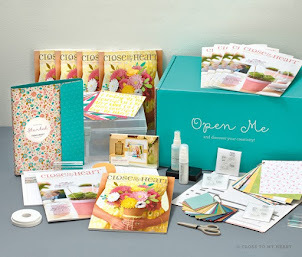 This kit offers you a sneak peek at two new Spring/Summer 2013 products: the treat tubes and the silver glitter paper! Decorate the die-cut boxes with the stamp images, cardstock, and glitter paper. Then attach the clear tube and fill with treats for valentines in a cinch! • 1—Sheet Silver Glitter Paper—new product for Spring/Summer 2013! • 12—Treat Tubes with Lids—new product for Spring/Summer 2013! Shipping/handling may apply. 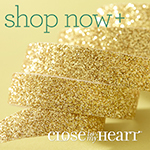 Offer valid December 13, 2012—January 31, 2013 (11:59 MST). Maximum of one Whooo’s Your Valentine kit per qualifying order. Visit my website HERE TODAY to get started!